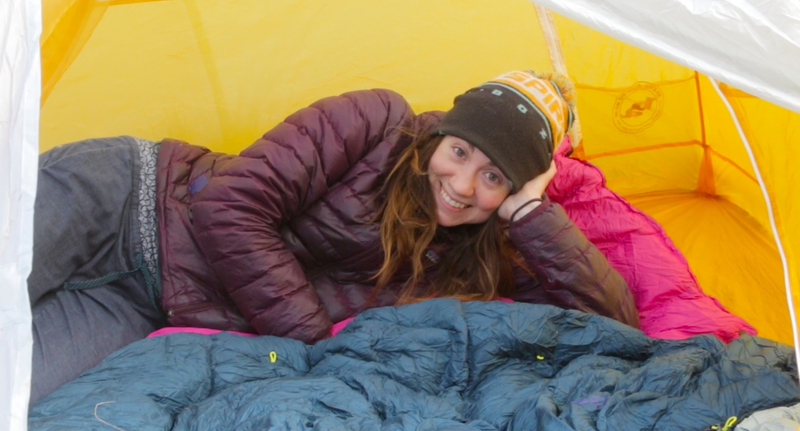 Here’s our rundown of the Big Agnes Tiger Wall 2. This tent was new last year, joining the ranks of Big Agnes thru-hiker faves like the Fly Creek 2 and the Copper Spur 2. 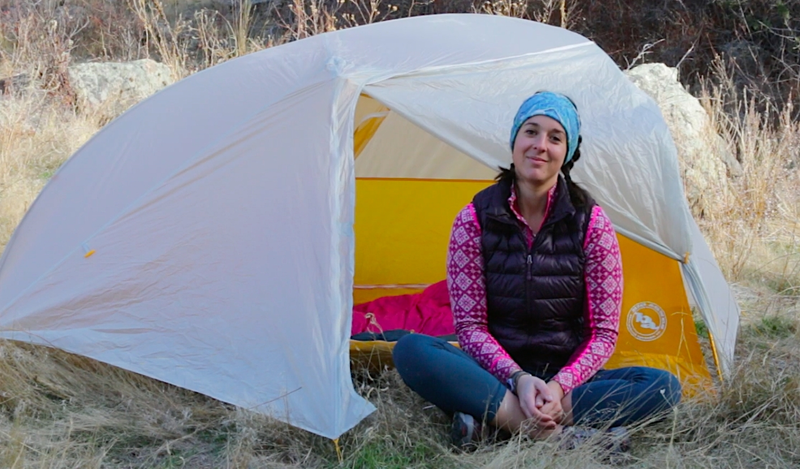 In this video, I am fighting a losing battle with a sinus infection, Hailey and I screw up the color-coordinated buckles, and we run through some comparisons between the most popular Big Agnes tents. More details on the Tiger Wall 2 below, and stay tuned this spring for the Tiger Wall Platinum, which will A) weigh less and B) cost more than this version. Interior Space: 28 square feet, vestibule area is 8×8. Notes: The Tiger Wall has two side-entrance doors and two vestibules, with a single-hub pole system. It takes at least six stakes to set up (including the vestibule), and classifies as semi-freestanding. This means it will technically stand with just the pole system, but does need stakes to be set up for the full livable interior. Long-distance hikers say that a two-person tent is a one-person-plus-gear tent, and a three-person tent is a two-person tent. I can attest to this, as my partner and I hiked 400 miles on the AT with a two-person tent before switching out for a three-person. The extra space of a three-person is really nice. Spreader bar = more shoulder space. This tent wouldn’t be out of the question to carry for one person on an extended trip, and is great for two people on a shorter trip. Livable space is increased from the Fly Creek, with steeper pitched walls and more shoulder space. It doesn’t have the double horizontal spreader poles of the Copper Spur, so the foot space is smaller. Structured foot space and a tall bathtub floor will help keep damp tent walls away from sleeping pads, and the vestibule is spacious enough for gear storage, and crawling in and out without getting the tent interior wet. Peep that tall bathtub floor. 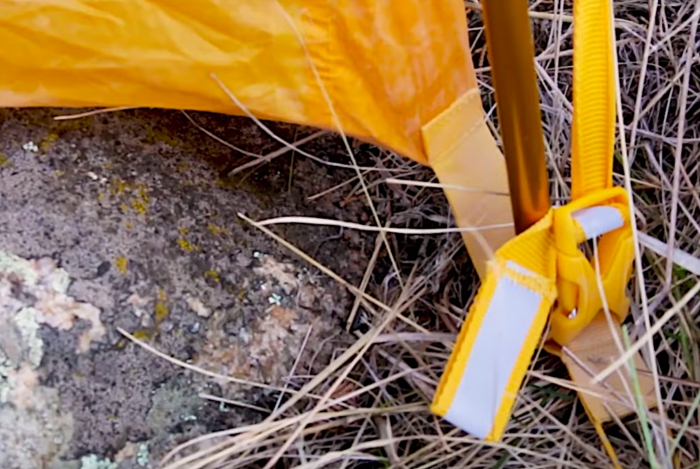 The interior media pockets are super handy—I use them for my headlamp, earplugs, and phone. I also appreciate the Big Agnes fly/tent clips (pictured below). They’re (mostly) idiot proof and can be maneuvered even with frozen fingers. Still managed to mess this up, but for most people, these simple, color-coded buckles make tent life easier. I’ll drag my hiking partners out on a comparison trip this spring, but for now, here are the dimensions and prices. 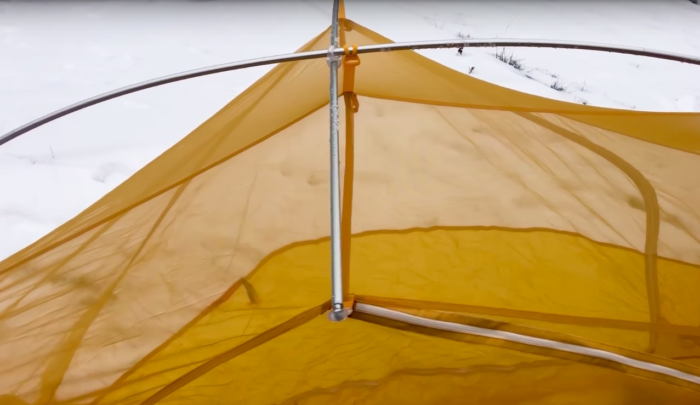 Notes: With one entry at the front and a single-hub pole system similar to the Tiger Wall, this tent is the smallest of the three, and doesn’t have the horizontal spreader bar. Notes: This has a higher-volume pole system, allowing for more livable space than the Tiger Wall or Fly Creek. It has two doors and two vestibules. I reviewed the CS Platinum here, but I also ripped the fly last summer when it got stuck on a twig, so there’s that. The Tiger Wall vents well, is spacious enough for two people with the luxury of two entrances, and is a great option for weight-conscious pairs of thru-hikers who want the comfort and ease of setup for a semi-freestanding tent, or a solo hiker who wants a lightweight yet spacious option. If you’re trying to choose between the Fly Creek, the Copper Spur, or the Tiger Wall, take a look at the individual specs. The Fly Creek is the lightest option but provides the least livable space, while the Copper Spur has the most space, but weighs more. The Tiger Wall sits comfortably in the middle slot. 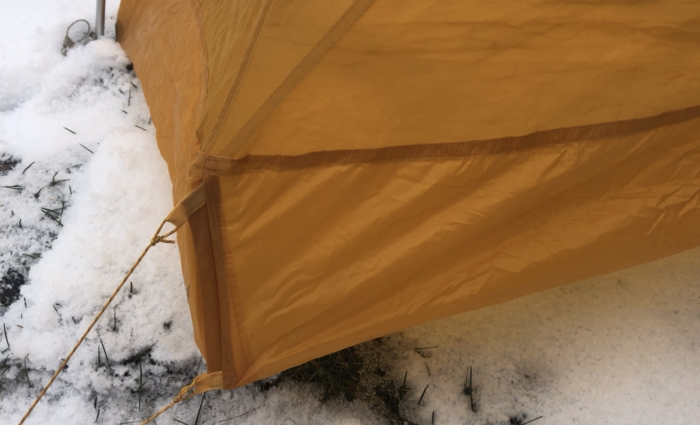 We’ll give this tent more testing over the next season to examine its long-term durability, but like all lightweight items, it’s important to treat this tent carefully. The fly and floor are a silicon-treated ripstop nylon, fairly sturdy for an ultralight item, but still does need to be treated with care.